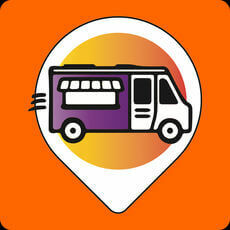 Want a Food Truck Finder App like Snack Tracker to pair food trucks with foodies? 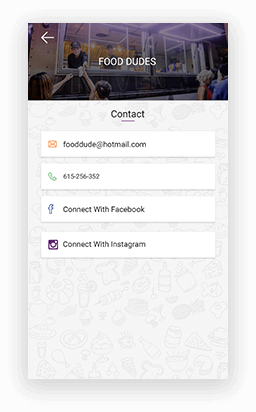 Our client approached us to develop an amazing app to streamline her food truck business. The idea behind this cross-platform application was to keep the essence unique to the audience & make the food trucks traceable across Australia. A team of developers at ChicMic adopted the right techniques & strategies to meet the expectations & successfully came up with a real-time tracking app i.e. Snack Tracker. Featuring GPS Searching, Food Truck Listing & Menu Listing, a mobile solution is recently launched to deliver a seamless food truck tracking experience. An ultimate aim of this application is to help users track food trucks in a straightforward way. 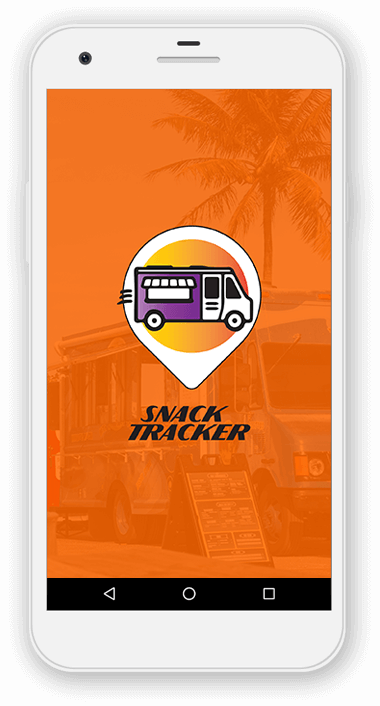 Snack Tracker gives an end to your search by bringing the delicious food trucks right at your fingertips. This Australia-based food tracking application is designed exclusively to keep customers informed about the availability of the food trucks nearby. With the best snacks at a glance, the Snack Tracker aims to be the best around. What makes the App Stand Out? With an advanced approach, the Snack Tracker helps you track down your favourite meals on wheels. Based on the backend server & database, the app hosts the real-time data about the location of trucks, weekly schedules, events (if any), menus, pricing and many more. 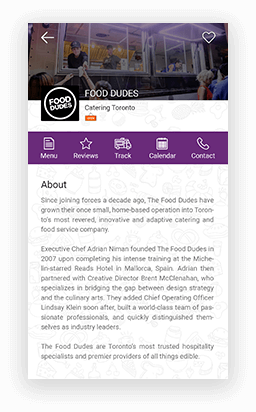 From food truck tracking to updates, the app lets the user get detailed information with just one-touch. Snack Tracker benefits the end users by offering the menus, map view of nearby trucks, convenient payment options & enhanced user experience, all for free. 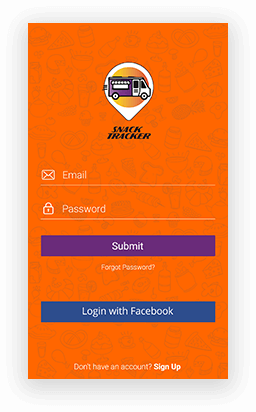 A variety of must-have features integrated such as Live Map, Search Bar, Discover, Reviews & Ratings, Distance, Buy A Gift Voucher & many more have indeed increased the popularity of the app among the food truck lovers. How Does Snack Tracker Work? 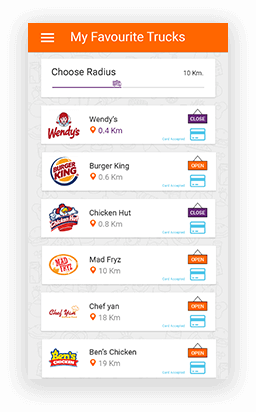 Snack Tracker gives a one-stop solution to search for your favourite trucks offering Food, Ice Cream, Coffee, All & much more. Once you log in, this simple to use app will take you to a screen displaying options like Track My Snacks, Location, Distance, Track My Favourite, Event Calendar & Buy A Gift Certificate. The GPS based app gives a freedom to every user to mark & follow the favourite truck. The most exciting feature about this app is Push Notifications. To help you never miss your favourite food truck, a notification will be sent to you when the truck is within reach. For the first time ever in Australia, Buy A Voucher option is added to a food tracking app with an idea to make customers more likely to visit the food trucks. For a seamless registration, the user can simply register using an email address or Facebook. Snack Tracker’s Truck app is a well-chosen digital solution to manage your food truck business. 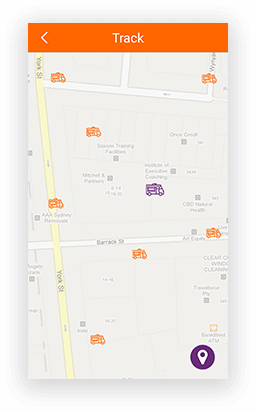 This free to use app is designed solely to help common people track food trucks hassle-free. Moreover, a Truck side app enhances the business owner’s digital presence which increases the food truck sales. 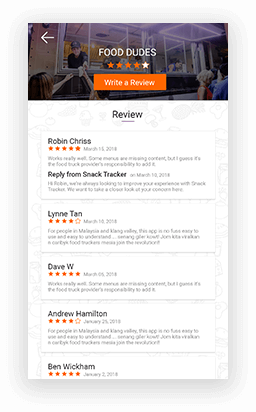 This premium food truck app is a great way to connect with the right customers. 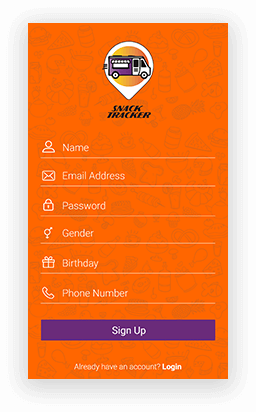 Snack Tracker in Australia is the first real-time food truck tracking application that provides up-to-date details regarding the food trucks in your area & what trucks are serving. With a Snack Track Truck app, the owners will let the customers know whether the food truck is open or closed. Not only this, to deliver a long-lasting experience the owners mark an item as Sold Out at the moment the last item in the stock is sold. One of the amazing features is the Gift Certificate for friends & family. A voucher purchased from the user side will be scanned by the truck owners to let your friends & family enjoy a delicious snack & pay without a hassle of cash. If you are in Australia & want to share your food on wheels then get started with us. To register your business, simply click on snacktracker.com.au & fill out the Business Registration Form. To develop an app on Android & iOS, Kotlin with Android SDK & Swift 4.2 is used. In addition, PHP, a server-side programming language is used for the backend. Google Analytics is integrated to measure the app’s performance, social interactions & other events.